Before I describe my campus orientation experience, I would like to thank New Zealand Aid committee in considering investing a reasonable amount in acclimating scholars into the community. How will I manage myself in a new place? Whom do I ask if I have a question? Of course, we hope for orientation week to get an answer for all these questions. But based on my undergraduate experience, I already knew that orientation will range from a one-day program to a week-long event with full of seminars and info session. 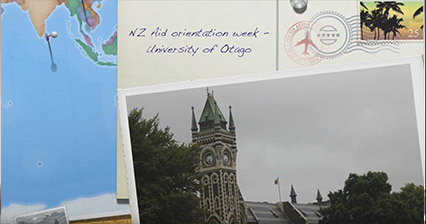 Even though most orientation programs are designed with a first-time college student in mind, Otago NZ Aid scholar orientation had special features. It took into consideration transfer students and even nontraditional (older) students. Some design thinking and user experience were applied here. 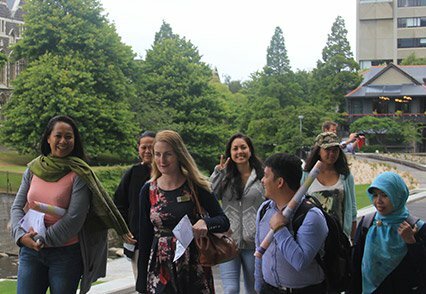 What’s new in Otago University NZ Aid Scholars orientation? I was puzzled when I receive an email from the International Admission Manager that I have to be here a month earlier to attend the scholarship orientation. I have even had a thought of joining the orientation in a later stage in order to skip the info session that will run us into boredom wall. There was two helpful University staff, Catherine McKinlay (Teacher at language and foundation centre) and Claire Slocombe (International Student Adviser) who have guided us for a month to acclimate with the Otago community. I personally believe acclimating international students by introducing to the places is a meaningful activity. This activity has given us good exposure to the places that we could visit when have reached the monotony at campus or missing our family. 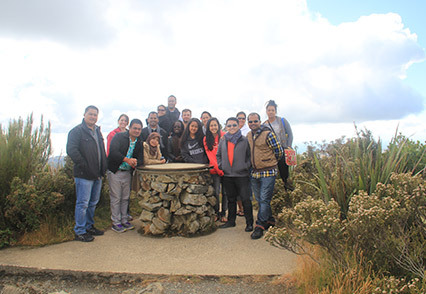 Similarly, Otago NZ Aid Scholar orientation has aimed in acclimating students to their new environment through guided tours, campus tour, or even time to just wander. This orientation provides a safe avenue for us to find our way around campus and city. The orientation was fun-filled. They scheduled a van tour to Mt.Cargill lookout, Baldwin Street, Botanic gardens, Railway station, Otago Peninsula and Allan’s beach wild life spotting in this 4 weeks time period. 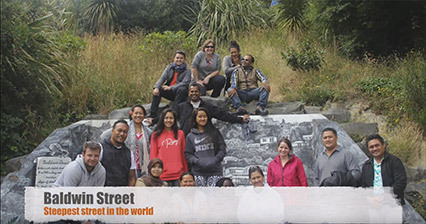 Catherine designed this wonderful activity for students to get familiar with Dunedin city. We were given a 9-sheet paper with questions and hints to identify the shops and places that are relevant to international students. The 8 hours foot journey reward us with the knowledge where to stroll around during weekends. Understanding the value of money, how to budget and spending to your means are incredibly important lessons which international student should well aware off. 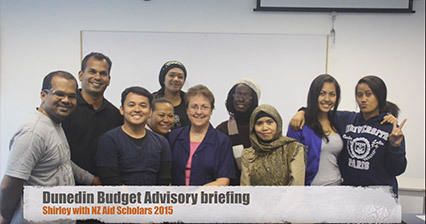 This orientation programme has featured with a budget advisory briefing by Shirley, team member of Dunedin Budget Advisory. Shirley with her immaculate accounting knowledge has guided us through simple and logic budgeting formula. On the other hand, to shop smartly and environment-friendly, Catherine took us for an op-shop tour to know how to get the essentials. Being an international student for a short period, I would consider getting a puff jacket for 20 dollars rather than spending 200 dollars to get a new one. The op shop tour was a crucial part of our orientation programme. While having an exciting tour and advise sessions, the orientation programme was also heavy on academic modules. Experienced teachers and lectures taught us the important academic modules such as paraphrasing, referencing, grammar and summarizing. Culture and language is a new learning chapter for us in NZ. 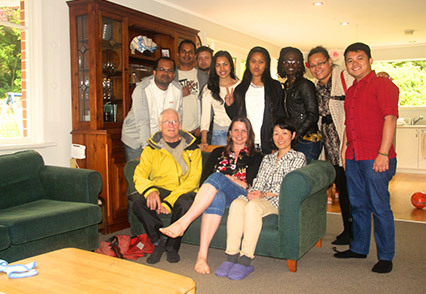 Firstly, to understand Kiwi house culture, our house visit to Catherine’s mum’s house certainly gave us an exposure in understanding Kiwi house norms and cultures. Her mother took good care of us with her delicious scone and tea. It was simply awesome. Secondly, to understand expats life in NZ, we are lucky to meet Dunedin “transplants” and discuss about NZ culture from the perspective of recent settlers. 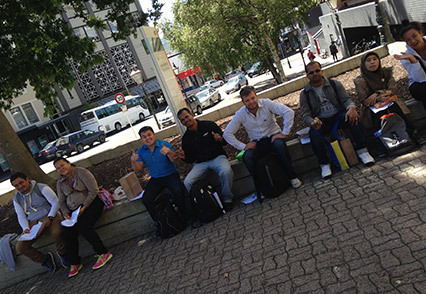 This gave us an idea of how to assimilate and adapt in the NZ community. To understand the history and people of NZ, Dr Sandra took us to the Toitu museum. The cultural knowledge exchange also included a session to share our own country and customs. In many instances, this orientation program creates a lasting impression for an international student like me. 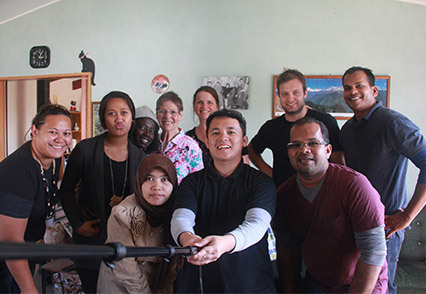 All thanks to the University of Otago Language Centre and Foundation Year in collaboration with the International office and NZ Aid foundation. It was an amazing one-month orientation to get us grounded well in Dunedin.